Most of Ten Ring’s “One From the Vault” posts reflect my collecting interests, mouse guns and military guns. 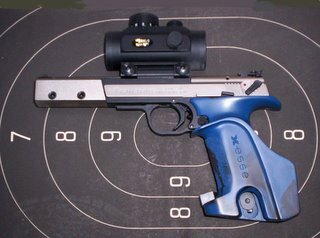 Frequent commenter, Seth from Massachusetts, asked me to feature my bullseye pistol because of my frequent mention of a bullseye league Bill and I shoot in (here's a sample). Seth wanted to know more about the gun I use (we’ll discuss Bill’s gun in another “One From the Vault”). Sig makes a family of Trailside pistols including plinkers, target pistols, and the Xesse competition model. All are .22s. Sig went to Hammerli, one of their subsidiaries, and asked them to design an accurate pistol that costs hundreds of dollars rather than one in Hammerli’s usual $1,500 to $2,000 range. They came up with the Trailside. It’s a straight blowback with a fixed barrel. 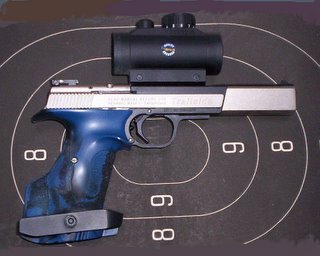 Target models sport sights capable of fine adjustments. As you see by the picture, I stopped using these fine iron sights although I have no quarrel with their design. I blame my aging eyes, which do better with a red-dot sight. 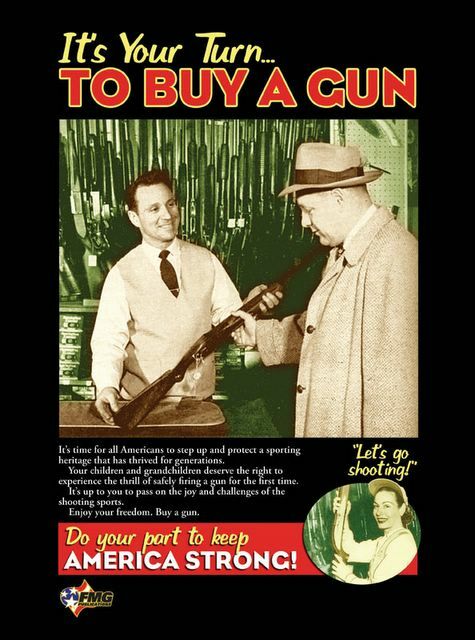 I was reluctant to do so because I like the old ways in gun design and shooting, but one must change with the times. Because I wasn’t sure how I’d like a red-dot I bought a cheap BSA sight. I must admit it improved my scores and made shooting much easier. I'll probably buy a better quality red-dot sight before next year’s bullseye season. My Trailside is an Xesse model with ergonomic grips. Out of the box, the grip was too large for my hand so I had to take a Dremel tool to the right grip. 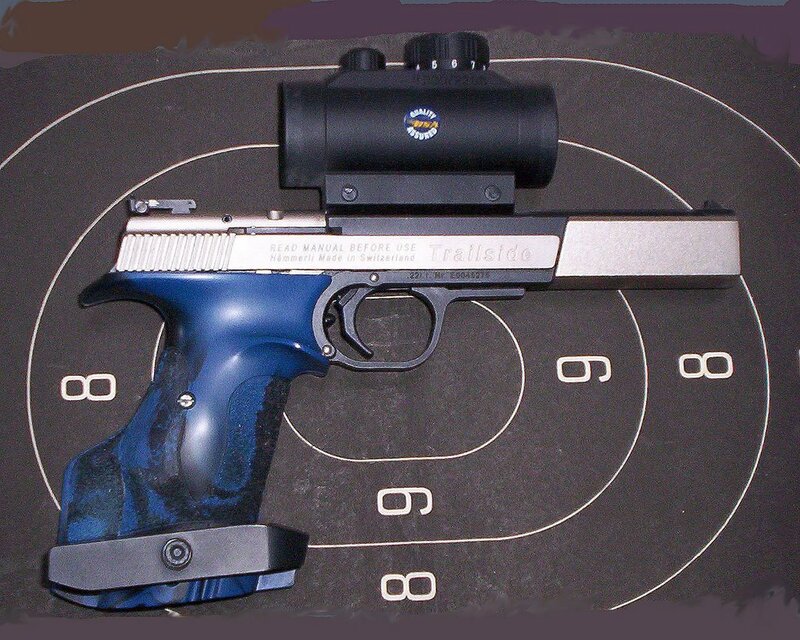 It comes with a weight at the end of the barrel to reduce recoil and keep you on target. One can buy various accessories such as lighter weights, dry fire plugs, and magazines. The latter two deserve separate paragraphs. The Trailside’s manual states it’s not safe to dry fire it without a plug. The dry fire plugs are made of soft plastic that covers the chamber mouth and protects it. To me, it’s surprising that a modern .22 pistol can’t be dry fired (that is aimed, and "shot" without a cartridge) because dry firing is a great practice regimen. Older .22s were made without a stop on the firing pin thus allowing a dry fired pin to peen the chamber mouth. Over time, a firing pin strike could fail to compress the cartridge correctly and not ignite its priming compound. A Trailside magazine is made of high-impact plastic—no metal in one except for a spring. The magazine that came with the gun had a problem that led to occasional failure to feed, but Sig, through my gun dealer, replaced it. That’s the only problem I’ve had with the gun. After several thousand rounds it’s proved very reliable. A dedicated bullseye gun must be accurate. Trailside is a tack-driver partly due to its fixed barrel and a fairly light trigger weight of 3.5 pounds. Its pull has no stacking with a crisp let-off. Because the competition model is heavy there’s little felt recoil and I’m able to get back onto target rapidly. I bought my Trailside for under $550.00. Remember this is for a gun made by a quality maker and designed by a firm that specializes in target pistols. There are a couple of drawbacks. The magazines are expensive (about $45.00) and being plastic they could break if dropped onto the lips. Disassembly is easy, but not with a red-dot sight installed. The sight prevents me from removing the slide. A Bore Snake makes the chore possible without removing the slide completely. Even with these drawbacks, it’s been a great gun for me to own. There’s a rumor that Sig will no longer be making the Trailside partly because they have a new plinker in the Sig Mosquito and perhaps because of a large government contract for law enforcement pistols. I don’t know if the rumor’s true, but the Sig website’s Trailside page has an ominous note: “Available Models: Updated product information coming soon.” Better buy ‘em while you can.